You’ve found the customer and brought them to your website; now it is time to keep them interested with a short animated video explaining the features and benefits of your product or service. Help convert your visitors into customers. 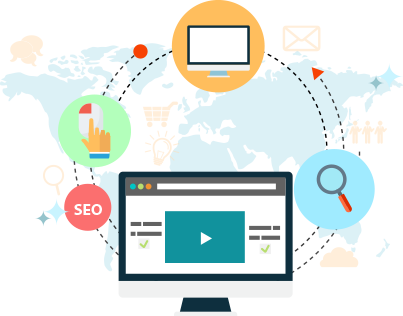 We are experts at online marketing and also provide SEO (search engine optimisation) to many companies, driving their websites up the Google results. We know what it takes and can help you put together your online Google Adwords, SEO and video strategy. We deliver real results and pull everything together for you seamlessly, and in a way that you can see in black and white. Adding an animated explainer video can not only help you increase website or drive people to your physical shop but also help you engage with customers and help them move to the buying phase by answering their sales objections. Many customers started out on their journey looking for better ways to communicate with customers and discovered a whiteboard animation online or are looking for powerpoint alternatives or better ways to present infographics. Find out more and speak to our friendly team and let us guide you on your options without any pressure. We want to help your business. We are experts at online marketing and want to help you. Call us now 0333 444 0283 (also free from mobiles).